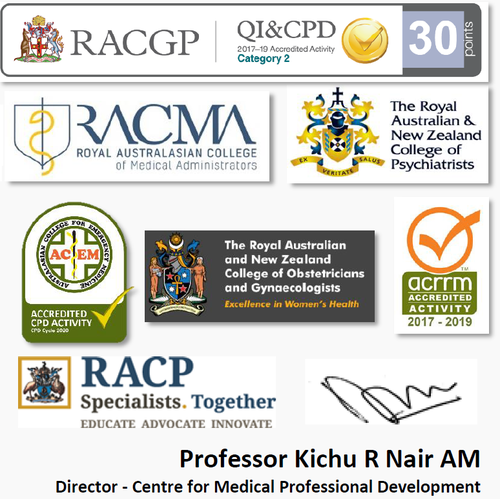 Professor Kichu Nair AM, Conference Convenor invites doctors from across NSW Health to the 2019 Professional Development Program for Doctors to be held in Shoal Bay, NSW from Thursday 7 March – Sunday 10 March 2019. This key event for doctors will explore the themes of "Development, Diversity and Diagnosis". The program is designed to address professional challenges faced by doctors in today’s health landscape through to the retention of rural doctors, insights into the supervision of junior doctors, wellbeing and more. Doctors will have the opportunity to listen to and interact with an outstanding line-up of speakers, to network, discuss current issues and future directions in health. Acknowledgement and thanks to Michael Di Rienzo, Chief Executive, Hunter New England Local Health District, Adjunct Professor Annette Solman, Chief Executive, Health Education and Training Institute and Maggie Crowley-McGuinness, Executive Director, Rural and Remote Portfolio, Health Education and Training Institute for their continued support and collaboration on the Professional Development Program for Doctors. We look forward to seeing you in Shoal Bay in March 2019!